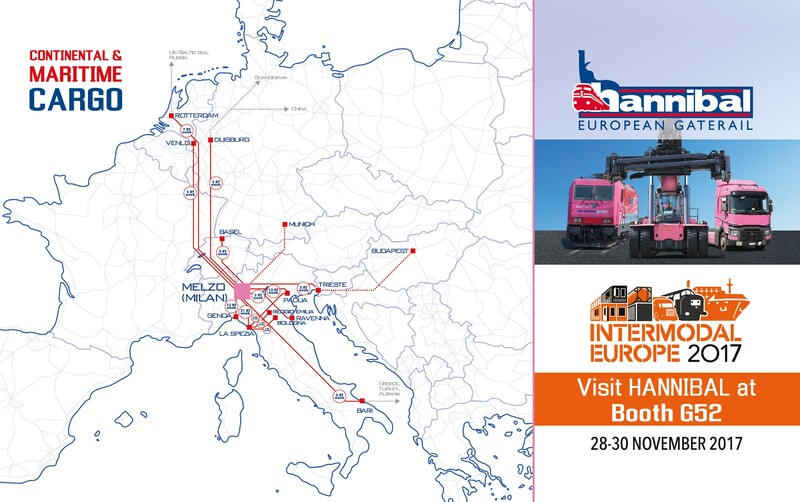 Hannibal, Contship Italia multimodal transport operator, will be exhibiting with Rail Hub Milano at Intermodal Europe in Amsterdam from November 28th to 30th. Intermodal Europe is a major event for the European and global supply chain industry; Contship Italia will be present, with Hannibal and RHM – Rail Hub Milano, at stand G52, to discuss the latest news involving Contship logistics business units, and to showcase the benefits of using the Southern Gateway and the Group’s intermodal solutions to reach central European markets. Among the main highlights, the substantial increase in the frequency of the Melzo-Frenkendorf rail service, which is going to be upgraded from three to five round trips per week starting from December 11th 2017 (Read more). 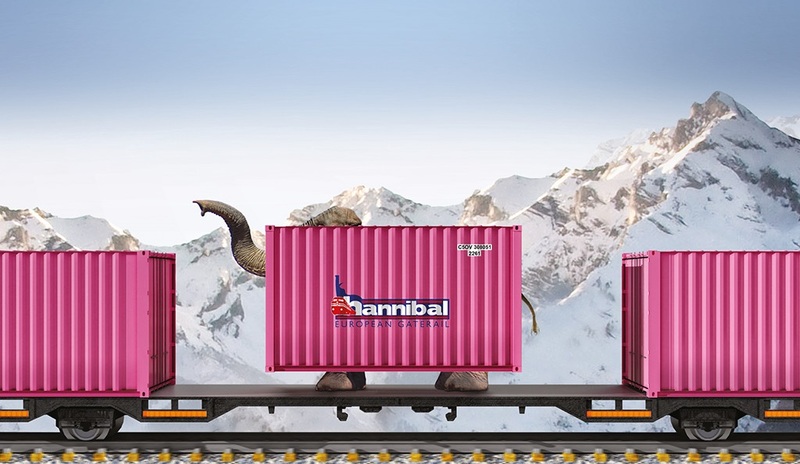 In October, Hannibal also increased the Melzo – Rotterdam rail service frequency, adding a seventh Round Trip between Rotterdam and Melzo, for a total of fourteen trains: one departure per day in each direction (Read more). Last but not least, Rail Hub Milano, Contship intermodal logistics platform, recently hosted the inauguration of a new maintenance workshop, dedicated to locomotives and rolling stock. The new workshop, owned and managed by Bombardier Transportation, will improve further the speed and quality of assistance to vehicles operating on the railway network (Read more). On the digital side of the business, Contship is also working on a new feature for the Connectivity Tool, which will soon guide users in providing all the key data to request an online quote for intermodal transport: a further step forward in the digitalization of processes and a faster, better way to address customers’ needs. 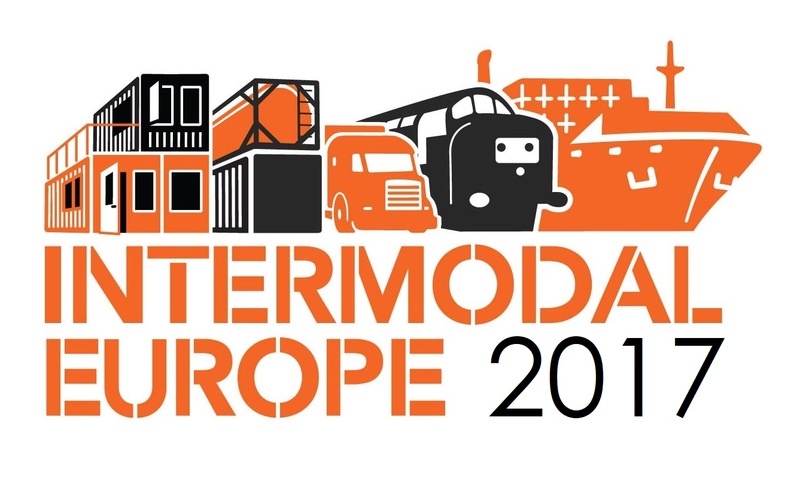 Contship Italia and Hannibal invites to visit Intermodal Europe in Amsterdam, and drop by stand G52 for an espresso coffee and some business talking. Feel free to send us an e-mail to schedule an appointment with Franco Placa, Nicolo Marrali, Paolo Califano or Lea Cattaneo from the Hannibal team, or Join Daniele Testi’s speech on “Alternative routings in the European North-South corridors for the benefit of oversea trades” (November 28th).